There are a number of young Italian bands around at the moment who are starting to develop a good reputation in 21st Century progressive rock. Il Rumore Bianco (White Noise), who hail from Verona, is one such band. When one thinks of Italian music from the seventies, symphonic prog usually springs to mind, but these guys have taken that template and added their own touches of jazz, hard rock, post-rock, even ambient and electronic influences, giving it a modern sound. So who are Il Rumore Bianco? Well, the project came about in the summer of 2012, as a coming together of Thomas Pessina, Michele Zanotti and Alessandro Danzi, and by the end of 2013 the band had released their debut album, Mediocrazia (which you can hear on the band’s Bandcamp page). Presented as four tracks across thirty minutes, it laid the foundations of what would become the band’s sound, with lyrics touching social and introspective themes. The debut album was well received and it inspired the band to play a series of live gigs throughout Northern Italy. For this their second album, Antropocene, they began recording at Sotto il Mare Recording Studios in Verona. For this album they wanted to include a number of themes and musical influences, all the while trying to maintain their own identity, and I feel they have achieved this. The band have chosen to sing in their native Italian language, this works very well, but unfortunately, not being an Italian speaker, I do not know what the songs are about, although this in no way detracts from the enjoyment of the album. The press release states that the “compositions are built around controversial themes, with music constantly following lyrics and thus creating different moods and atmospheres”, and this is a fairly accurate description; the sound is layered, at times symphonic at others with a harder edge, all with a healthy dose of jazz influence. The vocals are clear and precise, giving the songs another musical texture which complements the other instruments. Opener Al Crepuscolo Dell’anima gets things off to a bright start. There’s great guitar work with a slight hard edge at times, Alessandro’s vocals in fine shape, which continues to be the case throughout the album. All the instrumentalists provide fine performances, from the guitar and rhythm section to the keyboards and piano. On tracks three, five and six the introduction of a saxophone lifts it all to another level, the sax giving the tracks a jazzy feel, playing when needed without dominating proceedings. The CD, which comes with striking design and cover art by Davide Zuanazzi, closes with the two-part title track, part one opening with a steady, almost laid back piano accompanying the vocals in what is a beautifully paced song. Part two begins gently with the bass and cymbals accompanying the vocals this time, the introduction of the guitar’s harsher and more angular edge picks up the pace, joined by the rhythm section. The time signatures change and evolve, the vocals becoming a little more forceful while organ provides support to some great guitar work towards the conclusion. This is an interesting, versatile track that demonstrates the band’s songwriting ability. 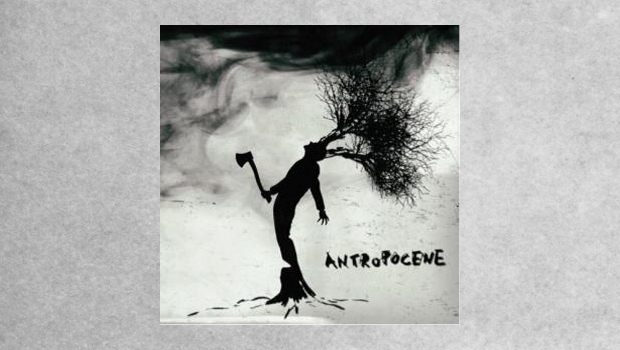 Overall, Antropocene is a very good album which I have really enjoyed. The songs are well constructed and performed with touches of jazz influence; it will be interesting to see where their next album will take them.